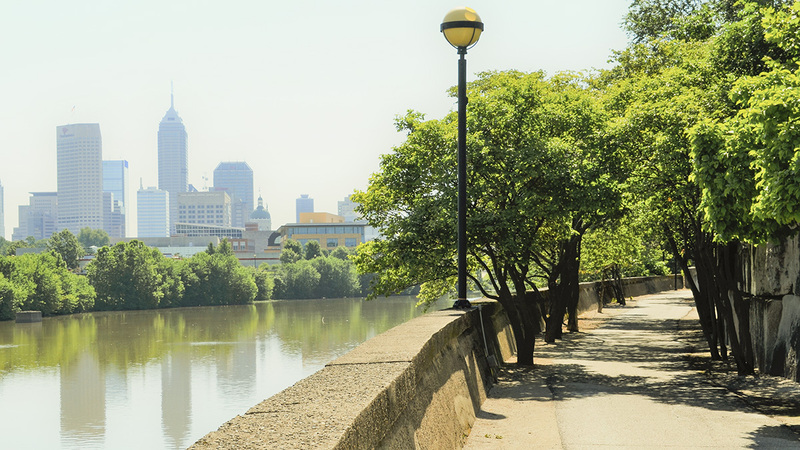 Situated on the western edge of downtown and spanning the White River via the Historic Old Washington Street Pedestrian Bridge, this 250-acre landscape is the setting for a number of the city’s major cultural attractions. 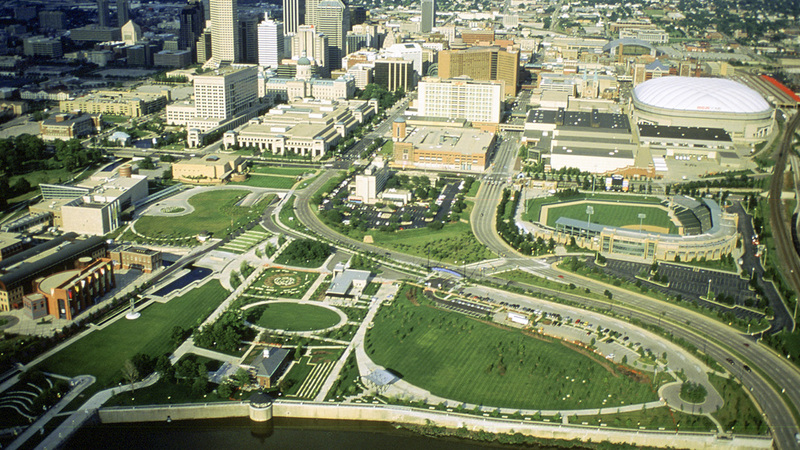 In 1979 HNTB Corporation was hired to oversee the park’s master plan, with significant contributions by landscape architecture firms Danadjieva & Koenig Associates, Sasaki Associates, and the Indianapolis-based Landstory, whose role was to ensure the site’s local history and values were well-integrated into the design. 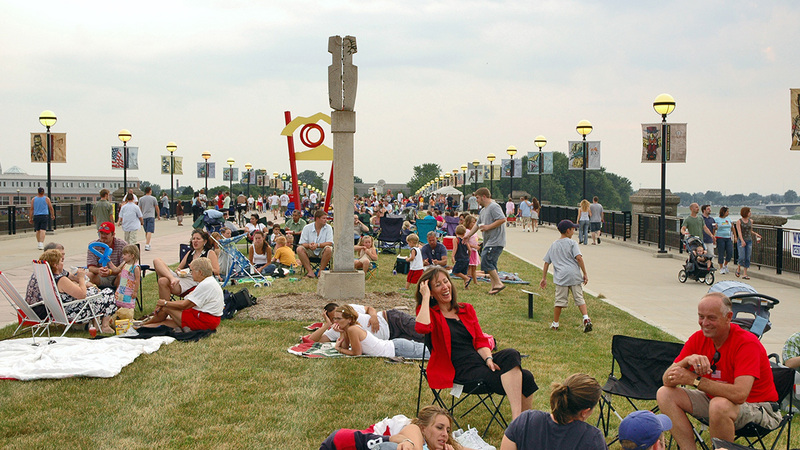 Local firms Browning Day Mullins Deirdorf and RATIO contributed to later master plan iterations, in 2006 and 2009, respectively. 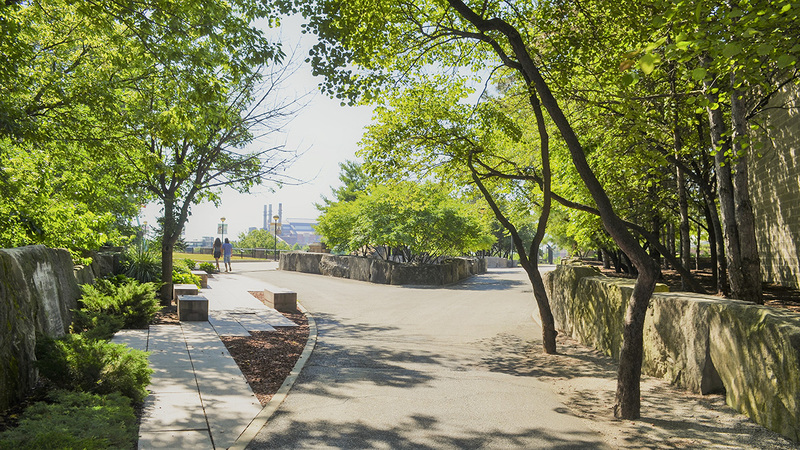 In 1988 the Indianapolis Zoo opened along the western bank of the river, followed by the White River Promenade, a shaded walkway bordered with large limestone blocks. 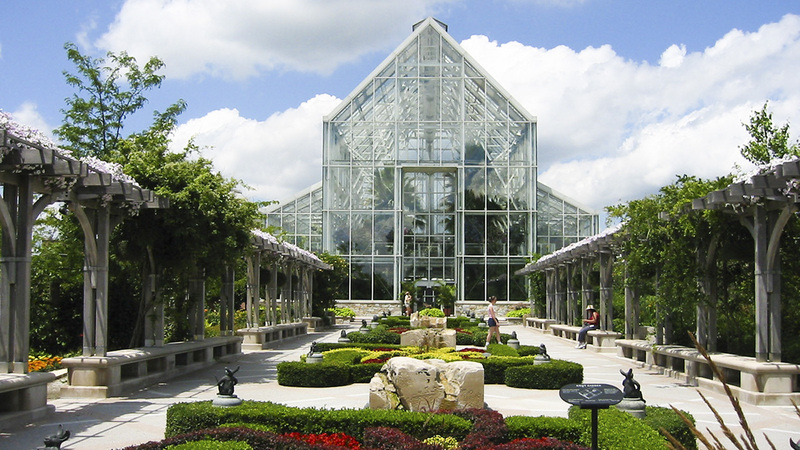 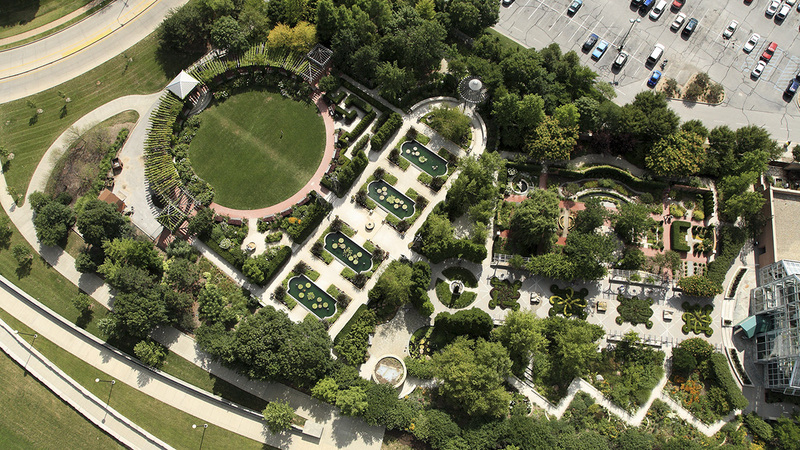 In 1999 the White River Gardens, a three-acre botanical garden designed by local landscape architecture firm Rundell Ernstberger Associates, opened within the zoo. 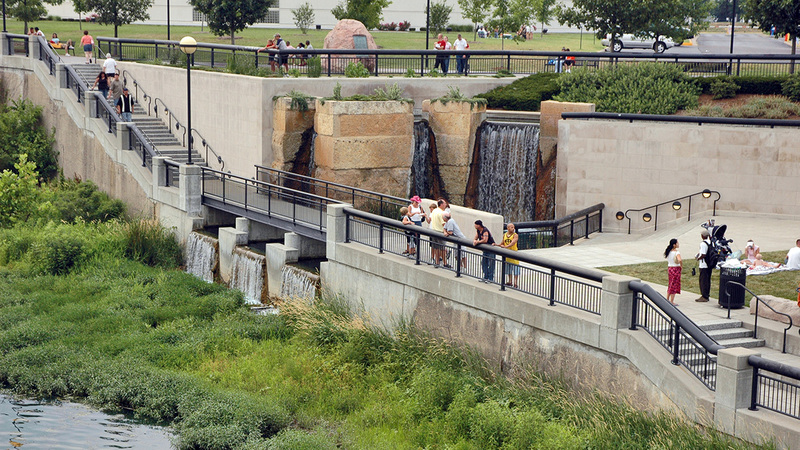 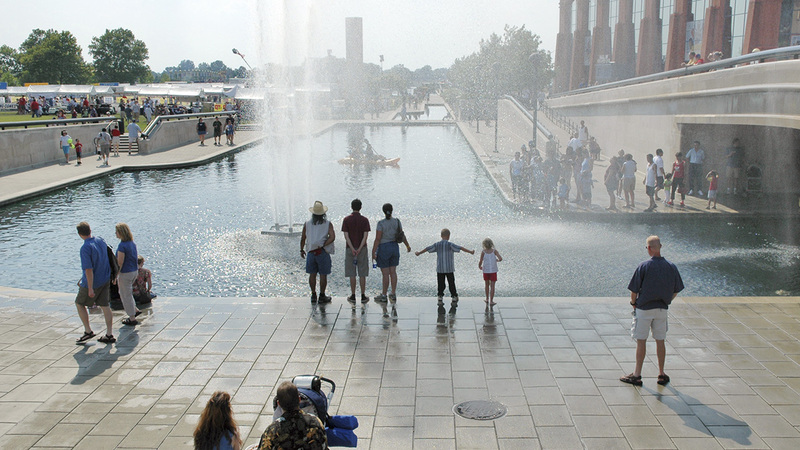 On the eastern bank, a Sasaki-designed section of the Indianapolis Canal Walk connects to public institutions within and near the park, including the Indiana State Museum, the NCAA Hall of Champions, and Victory Field ballpark. 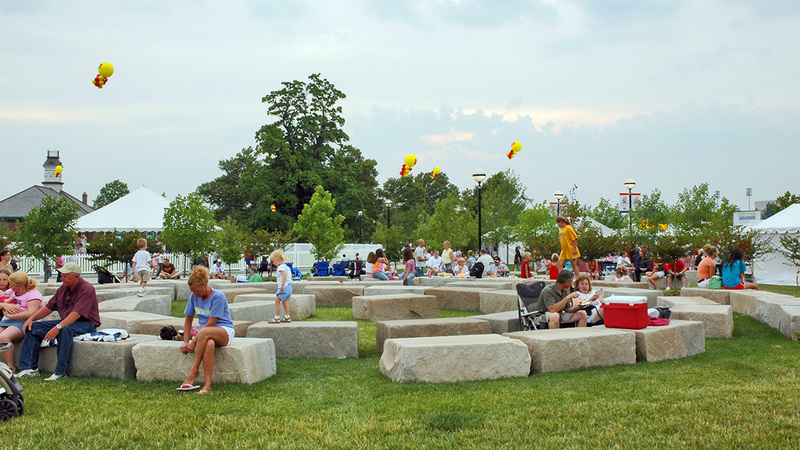 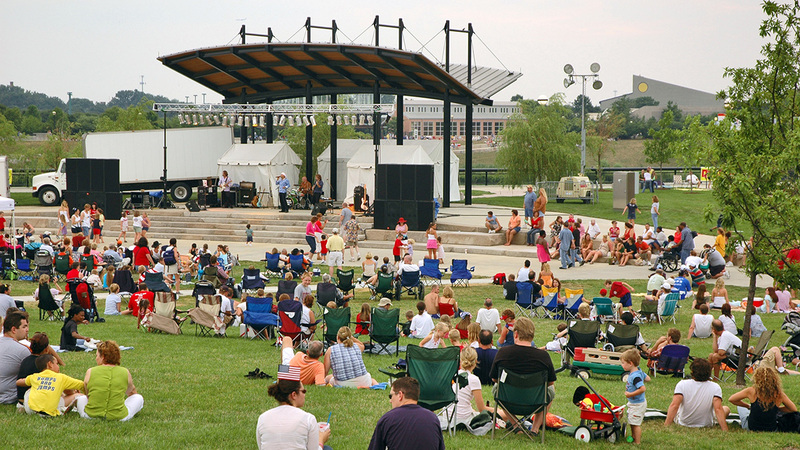 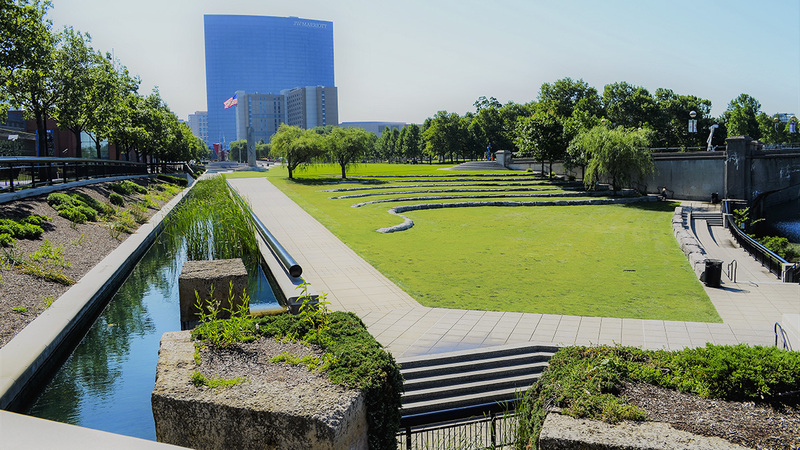 South of the canal, the park’s central open space is a series of lawns including Celebration Plaza, which features skyline views and a river-facing stone amphitheater embedded in the grass; The Oval, a recreational space surrounded by tulip and oak trees; and the Indiana Farm Bureau Insurance Lawn, a 7,000-seat outdoor concert venue. 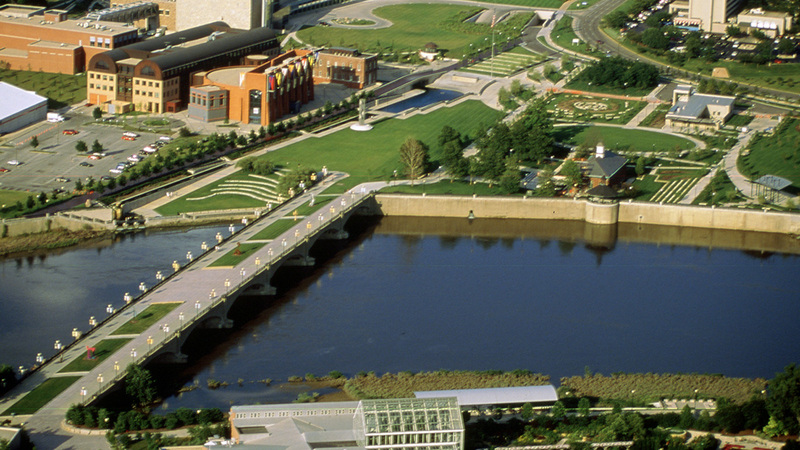 White River State Park received Merit Awards in Design from the American Society of Landscape Architects in 1992 and 1999.